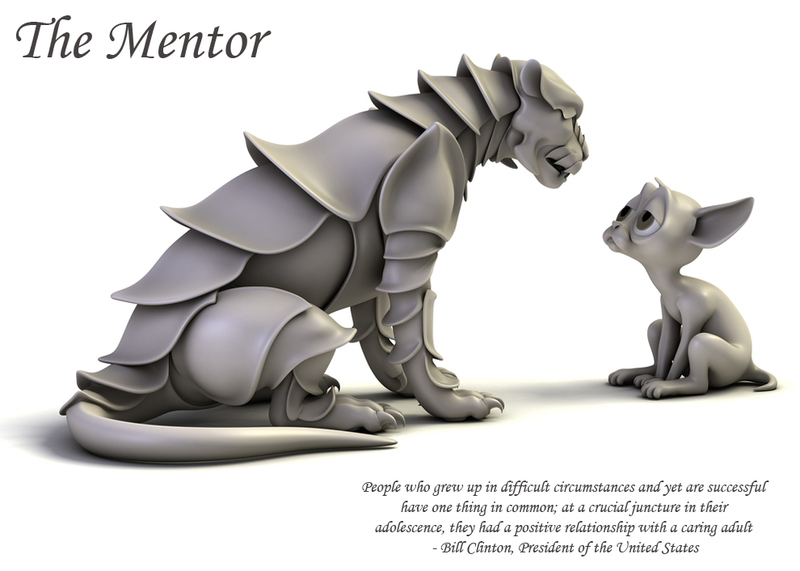 Mentoring is strategy for building competence and nurturing talent. The methods organisations use to develop new skills often guarantee their people long periods of anxiety and low productivity. Connecting the learner with a mentor accelerates personal development and flows down practical knowledge that can't be found in a classroom. Mentoring is the process of one person (the mentor) helping another person (the mentee) through a period of change to achieve a well defined result. The concept dates back to the dawn of humanity where older wiser practitioners passed on expert knowledge in the pragmatics of life to their younger less experienced followers. Through exposure to a mentor in an environment of respect and trust a person undergoing a change in job function or personal life is more likely to develop an expectation of success. James is a business analyst in a manufacturing organisation. He has been tasked with specifying the software requirements of a large production management system. His boss sends him to a two-day course on writing software requirements. Now he's back at his desk and has begun to realise the enormity of the task. He's never done anything this size before. The days go by and his stress levels grow as he realises he is not making progress with the massive complexity of the system and the brand-new methods for documenting what the system is supposed to do. After two weeks with little progress he decides he needs help. But who can he ask without sounding like an idiot? After all he's been to the training. Variants of this scenario are played out in many workplaces. Intelligent and motivated people are left to flounder for the want of some simple guidance on how to approach a new problem for the first time. Commitment. Attending training in a particular knowledge area does not guarantee that you will apply it in your workplace. Trying out a new technique involves change, a state of affairs that many of us find uncomfortable. Building confidence to actually apply new techniques often requires post training reinforcement by an experienced professional who's been there before. Provide support to isolated individuals from managing directors to disadvantaged minorities. Business perspective. Through contact with senior mentors the mentee gains a better understanding of the bigger picture: the role of the professional in today's business operations. CA people bring a wealth of industry experience and unique perspectives to the role of mentor. CA engineers have decades of international experience in developing software and electronic systems. In the context of projects in the USA, Asia, the Middle East and Australia our people assume the roles of project manager, quality manager, configuration manager, business development manager, V&V manager, safety authority, requirements engineer, V&V engineer, design authority, system architect, controls engineer, software developer, hardware designer and systems engineering trainer. Our industry sector experience includes telecommunications, road and rail transportation, military aviation, armed forces integration, chemical processing, government, gaming and construction. Our people have had management responsibility for multimillion dollar projects and transferred technology internationally. Our application experience ranges from commercial data processing to safety critical control systems. In more than 20 years of operation CA has developed a substantial international network of professionals drawn from associate companies and our client base. Our mentees benefit from the wealth of knowledge available to us from this network. Network, helping the mentee develop networks of contacts within and across organisations. Client Mentoring CA routinely provides mentoring services to client employees in the context of consulting assignments or project work. We enjoy staying in touch with people sometimes decades after a project is complete. Training Extension CA provides mentoring services to our training course attendees to assist in applying principles and practices covered in our workshops. Student Mentoring CA has mentored undergraduate engineering and information technology students from Griffith University, Queensland. Subject matter has varied from support of student projects to general career advice. How do people learn? Are there concrete steps a mentor can take to guide the mentee down a path of enlightenment? Active experimentation. You test your structures and explanations against the real world. 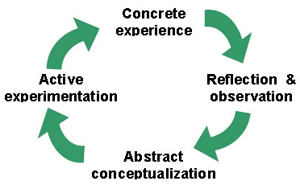 The mentor is responsible for advancing the mentee around the cycle, verifying that she is gaining practical experience, asking questions that encourage reflection and conceptualization and exploring ways of testing new ideas.